The foreskin fetishists have struck again. Those who devote their lives to the preservation of foreskins are hurriedly gathering signatures to put a circumcision ban on San Francisco’s November ballot. The measure would assess fines as high as $1,000 and provide for up to one year in jail for someone who performs a circumcision. The signature-gathering is being run by a committee of about 10, he said. Schofield would not divulge the identities of the committee members, but said several are spending their own money to pay for signature-gatherers to help out. Schofield said he is out there himself — not being paid — collecting the signatures outside grocery stores and in neighborhoods like SoMa, the Castro, the Haight and Noe Valley. “We say: ‘Would you like to help protect the children from forced circumcision? This is a human-rights issue,'” Schofield said. 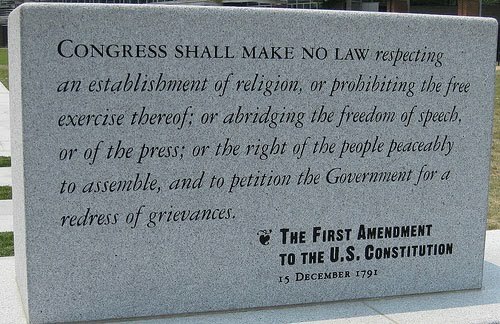 Actually, it’s a First Amendment issue, and a ban on circumcision is unconstitutional, because it violates the right to free expression of religion. Circumcision is an integral aspect of Jewish religious practice and is important in the practice of Islam. Of course the foreskin fetishists are not concerned with anything as piddling religious belief. There’s a general First Amendment right stating you cannot make any laws that infringe the exercise of religion,” says Keane. “And a parent has a First Amendment Constitutional right to make choices for his or her child. Anti-circ activists insist that cirumcision is barbaric. Would a court agree? Keane says no. If I’m an Aztec and my religion says I have to go high atop a pointed building and tear out someone’s heart — that’s nice, but there’s a murder statute that trumps that. But in terms of state interest in preventing the foreskin of male infant from being detached — that interest is very, very minor… [T]he interest is so marginal, the state does not have the right” to trump freedom of religion. Anti-circ activists have gone a step too far by trying to ban circumcision. And in so doing, they have revealed their contempt for both organized religion and the US Constitution. ← Do epidurals change labor?